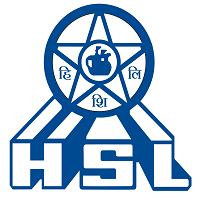 HSL Recruitment 2018 – Hindustan Shipyard Limited (HSL) Job notifications for the post of Assistant Manager (Finance & HR). The detailed eligibility and application process are given in below. Assistant Manager (Finance): A Graduate with a pass in the final examination of the Institute of Chartered Accountants of India/ Institute of Cost Accountants of India. Assistant Manager (HR): Graduate in any discipline with full-time PG Degree / Two years full time PG Diploma in Labour & Social Welfare or Labour Studies or PM & IR or HR Management or MBA with HR Management and /or IR awarded by recognized Universities / Institutes registered with AICTE with not less than 55% marks in qualifying examination. Original Certificates will be done only at the time of interview. Mode of Payment: Demand Draft (DD) – Drawn in favour of M/s Hindustan Shipyard Ltd., payable at Visakhapatnam. How to apply HSL Recruitment 2018 for Asst Manager? All interested and eligible candidates can apply for this position in online latest by 28 September 2018. After submitting successfully, send a print out of application form along with required documents to the following address on or before 10 October 2018.